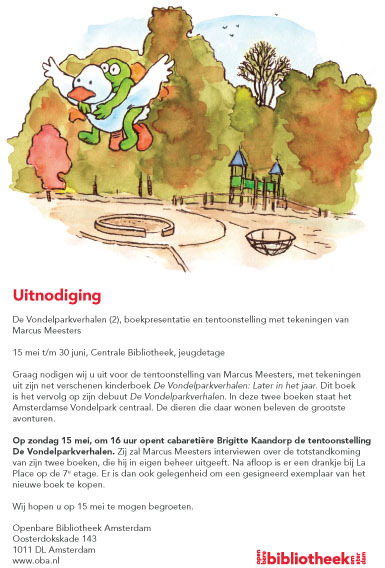 The Central Park Tales will be part of a literary trilogy that will consist of The Central Park Tales (New York), The Hyde Park Tales (London) and The Vondelpark Tales (Amsterdam): three children's books with collected stories about the animals that live in these beautiful city parks. The linking character between the tales is Uncle Mouse, a world traveller who appears in all three books. In each one he tells the young animals stories about the animals that live in the other parks. The Central Park Tales is the first book to be released in English, The Hyde Park Tales and the English translation of The Vondelpark Tales will be released in the near future. By connecting the city parks of New York, Amsterdam and London in a literary triptych, children will have the opportunity, through these stories, to “travel” to parks in other parts of the world. The author hopes that his park tales contribute to the urban cultures of New York City, London and Amsterdam, and that they create a new intercultural connection between these three beautiful cities. Marcus Meesters is the author and illustrator of The Central Park Tales. He was born in the Netherlands, in the city of Haarlem, located between Amsterdam and the North Sea (the sea between The Netherlands and England). At the age of 25, he moved to Amsterdam, where he got to know Vondelpark, Amsterdam’s most famous city park (to get a visual sense of Vondelpark, go to: http://www.inhetvondelpark.nl/fotoarchief.html). 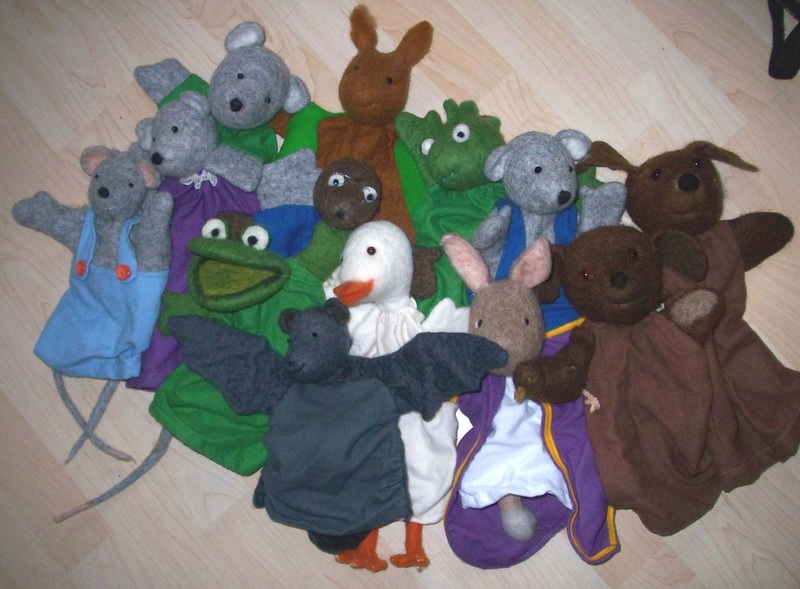 Meesters is a lover of classic children's books, and it was during one of his walks in Vondelpark that he got the idea to write his own children's book about the animals that live there. Meesters spent almost two years working on the initial book in the series. During this time, he did a lot of research on the history and legends of the park, gained experience in how the animals there live (which included climbing into trees and falling out of them), and when he was satisfied with the end result, he sent his manuscript along with his original illustrations to Dutch publishers. He received only rejections. The book did not fit their style, and the target audience (the people of Amsterdam) was considered to be too small, and the many color illustrations made the production too expensive… So he decided to self-publish the book. He ordered a print run of 1000 hardcover copies from Free Musketeers, a Dutch company for self-publishing, and in the spring of 2010 he distributed the work to bookstores across Amsterdam. It immediately became one of the best-selling children's books in Amsterdam and multiple editions soon followed. Meesters could no longer manage the distribution of the books himself, and so he opened an account at Centraal Boekhuis, the book wholesaler where all Dutch bookstores go to order their books. From that moment on, The Vondelpark Tales were also sold in bookstores outside Amsterdam. The Dutch Library Service bought 164 copies for libraries across the Netherlands, which demonstrated that they recognised the value of the book –not only in Amsterdam but for other Dutch cities, as well. The success of The Vondelpark Tales in 2010 and 2011 led to a good deal of literary and cultural activity: Meesters was asked by bookstores across Amsterdam to read chapters from his book during the Dutch national ‘Children’s Book Week’, reading sessions and walking tours in Vondelpark were put toghether, Meesters was asked by a cultural events organisation (The Amsterdam Uitmarkt) to give a reading, puppet shows of the work were performed in the park, and The Vondelpark Tales received a good deal of attention in the media where the book was often named on websites about Amsterdam. The Vondelpark Tales had now become a part of the urban culture of Amsterdam. 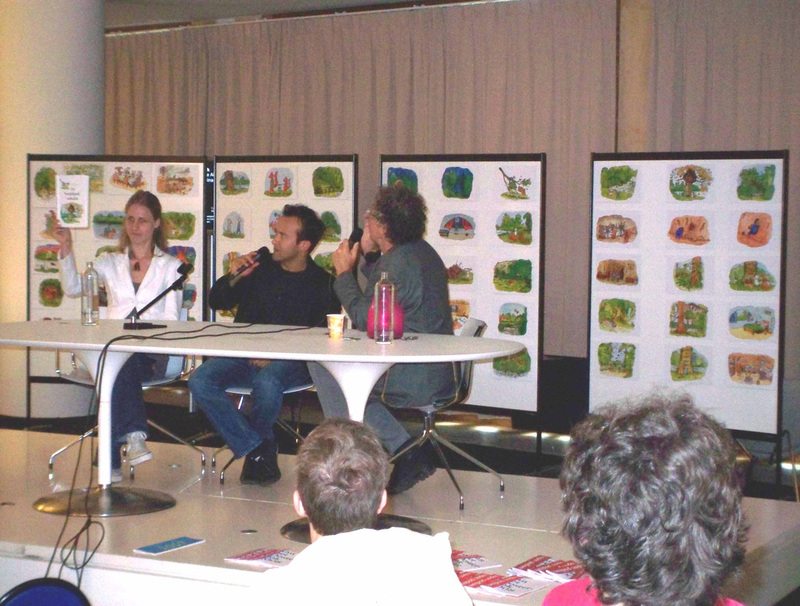 In 2011, Meesters released the sequel to The Vondelpark Tales, titled The Vondelpark Tales; Later in The Year (De Vondelparkverhalen; later in het jaar) and the Central Library of Amsterdam held a major exhibit of the illustrations from this sequel. The follow up to the first book was also very well received. 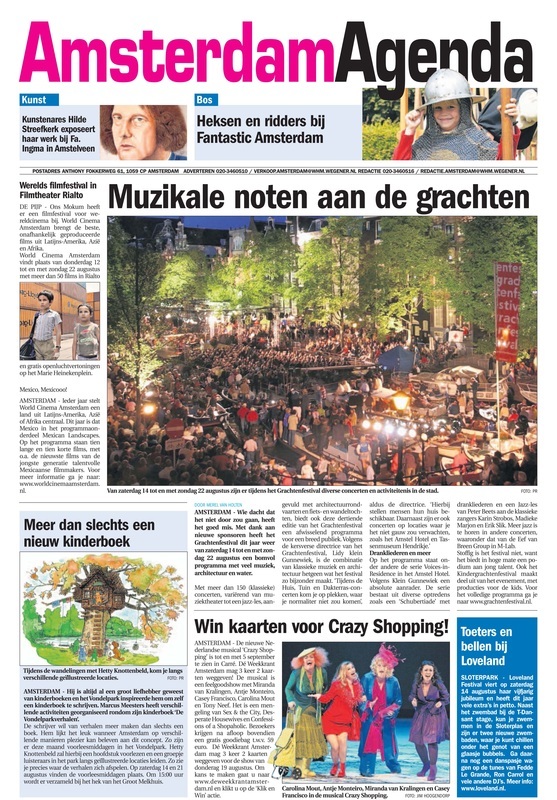 At the end of 2011, Meesters was in conversation with cultural organisations about creating a theatre version of The Vondelpark Tales to be performed in Vondelpark, but an offer by his regular employer to be transferred to the Dutch Caribbean island of Bonaire, put an end to this possibility for the time being. In March 2012, Meesters moved to Bonaire. He outwardly put all aspects of his Vondelpark Tales project on hold, but continued to think of new ways to keep expanding on his park tales. During the highly successful period of releasing The Vondelpark Tales, Meesters got the idea to create a children's book about Central Park and another about Hyde Park, with new stories about new animal characters who would be distant relatives. In 2012, Meesters visited Central Park and Hyde Park and spent enough time in these places to begin writing his stories and creating the illustrations to accompany them. After that, he worked on loose translations of all three books into English. He then sought the help of a native English speaker, poet and playwright Talya Rubin, to assist with the full English literary translations of the work. They used American English for The Central Park Tales and British English for The Hyde Park Tales. As mentioned, The Hyde Park Tales and The Vondelpark Tales will be released in the near future.